I sometimes think to myself, why would anyone attend a nature playgroup when you can just go out in nature anytime and play. Simple Right! Then I think about the last time I arranged for my kids to go out in nature and play with some friends. And thats just the point, most of us don’t do it. 1) When you take a child to a nature play group, you are setting yourself a routine and we all know how much better everyone copes when there is routine. 2) You can trust that a professional has done the thinking for you, and they are there to help guide you in your internal dialogue of should she/shouldn’t she. what should I do when my kid is swinging a stick at another kid, is it an issue that my kid is eating the dirt, should I be worried that my kid hasn’t shown any interest in anyone else all morning. 3) Your kids are exposed to social situations with other kids. This is huge as it is how they learn best and you’ll notice them practicing all the skills you use with them at home, on their new found friends. So, if your child doesn’t yet go to pre-school, day care or kinda this is a wonderful opportunity for them. 4) most kids don’t know how to play anymore. They are so used to having toys or something/one to entertain them that it is a very valuable skill to learn how to be creative. Most nature playgroups provide the right amount of structure to ease kids into this new world of freedom and creativity that many of us took for granted in our own childhoods. 5) They are happier and their behaviour improves which makes life easier for everyone. I know my boys sleep better, play better and are much more settled when they get home from a nature playgroup. Being in nature with the noises, the smells, the earth under our feet is the perfect amount of sensory information and it helps ground us and keep us calm. 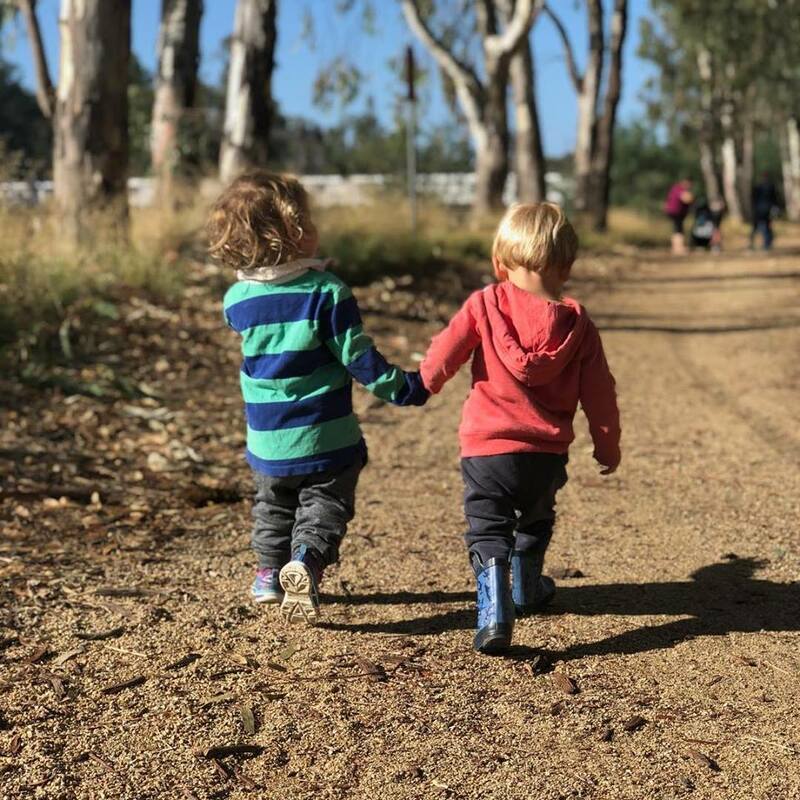 Not to mention the kids are generally active and focussed during their nature play time so when they get home they are often weary and happier for some quieter play options. If you have tried nature playgroups and weren’t sure what to make of them. Perhaps your kids cried, clung to your leg, refused to play and sat reading the books the whole time or just kept climbing in the water bucket. Please don’t be put off, kids learn through exposure and repetition. Creating the habit of attending and exposing them to how to play and be creative is the best way to support their development.